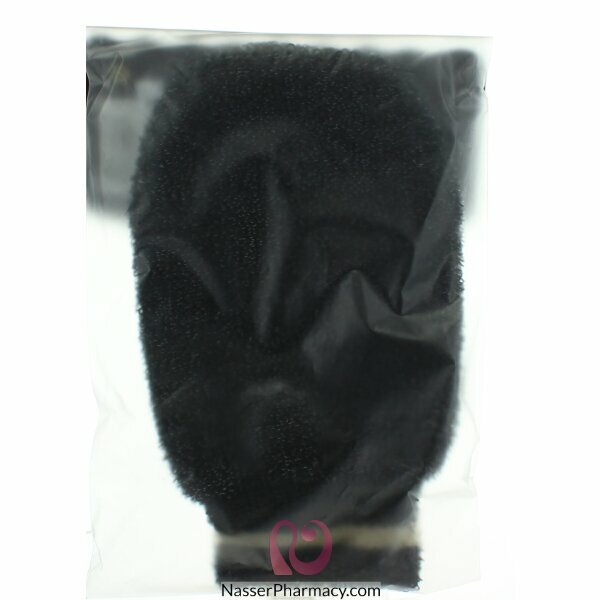 This easy care mitt is perfect for home spa use and use in treatments. The superb exfoliating texture buffs away dead skin cells, allowing moisture and active skin care ingredients to penetrate. Regular use can prevent in-growing hairs and prolong a suntan, while helping the removal of toxins and reducing the appearance of fine lines and cellulite. Exfoliation encourages cell regeneration leaving you with healthier, younger looking skin and a radiant glow. This dark colour means it is great for use with products; it is perfect for men and will add a stylish twist to any bathroom! How to use: use wet in the bath or shower on its own or with your favourite cleansing product. Colour: Black. Machine washable and machine dryable on a low heat. Composition: 75% Polyester, 25% Polyethylene.